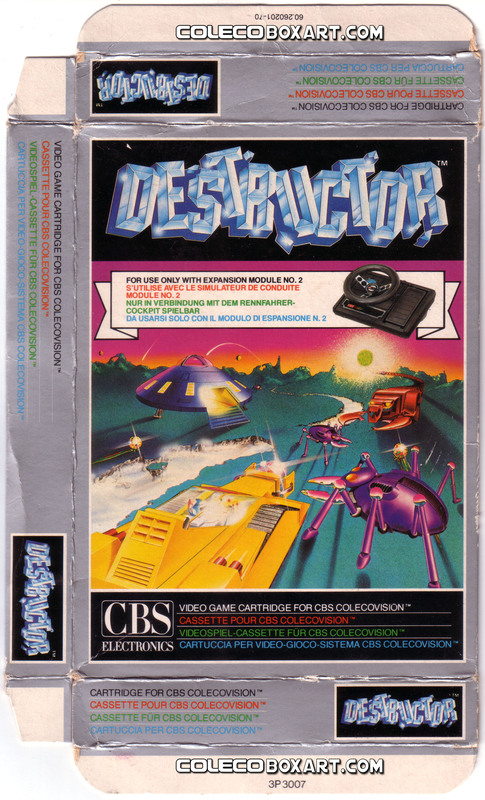 Program and Audiovisual ©1983 Coleco Industries, Inc. Amsterdam, New York 12010. 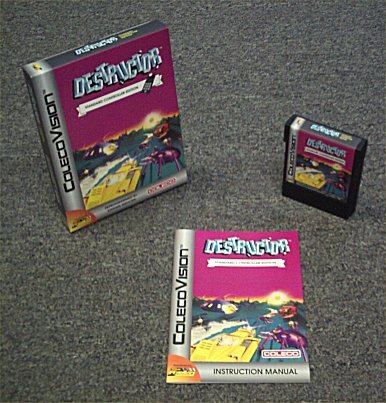 Program and Audiovisual ©1984 Coleco Industries Inc.
Made in England by CBS Electronics, Woodley, Berks. Printed in Holland. 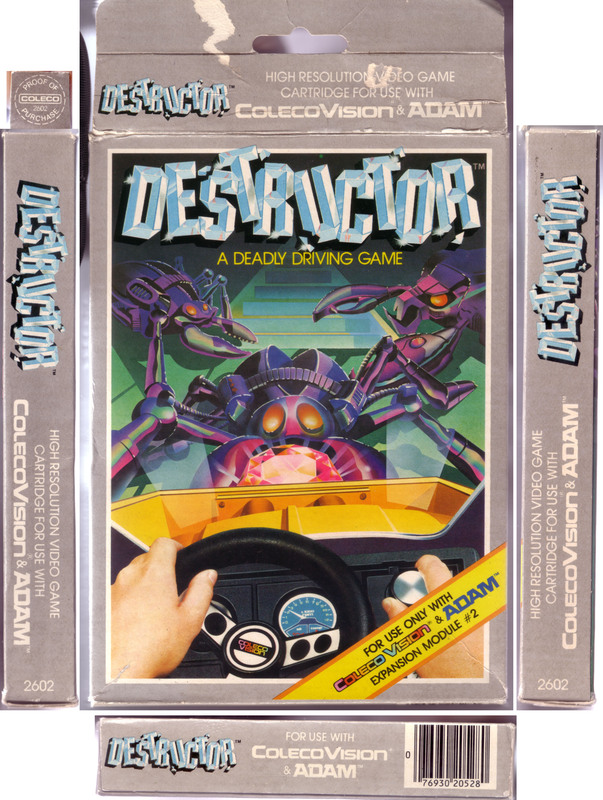 Luc Miron from Team Pixelboy made a version of this game for use with regular joystick controllers. 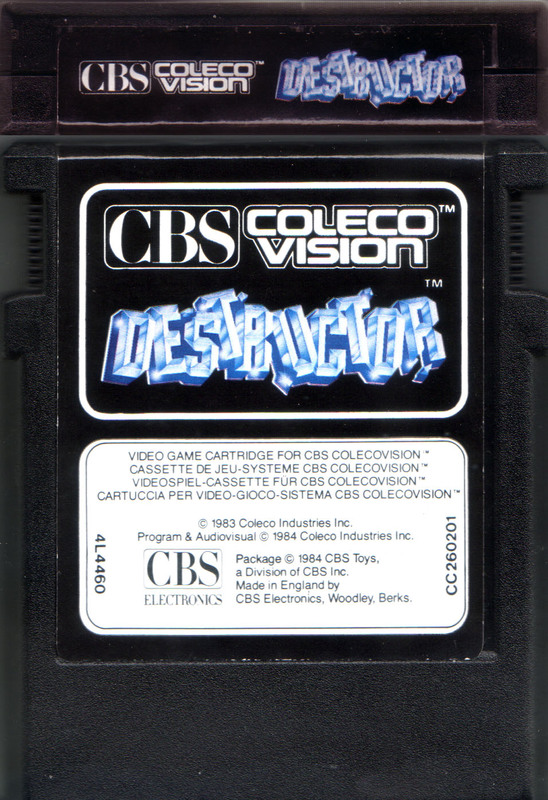 Daniel Bienvenu hacked the original Destructor ROM to support regular controllers, but for ethical reasons, he didn't feel comfortable about having it published on cartridge. 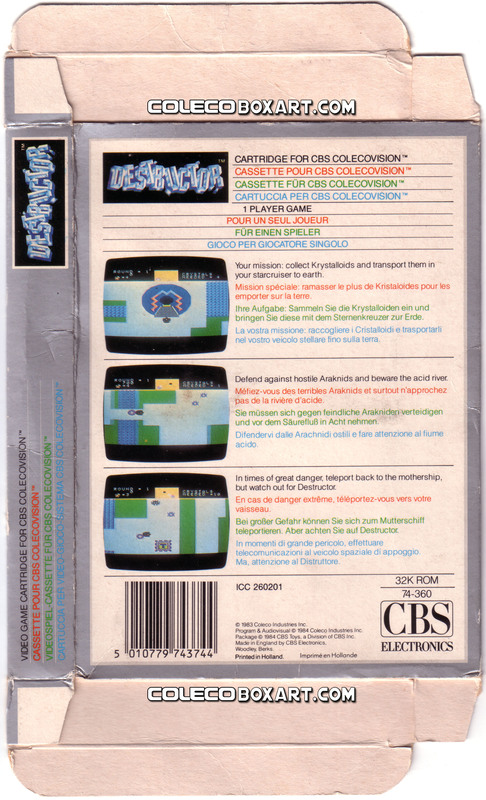 Pixelboy convinced Stephen Seehorn to use Daniel’s notes to help him produce this new version. 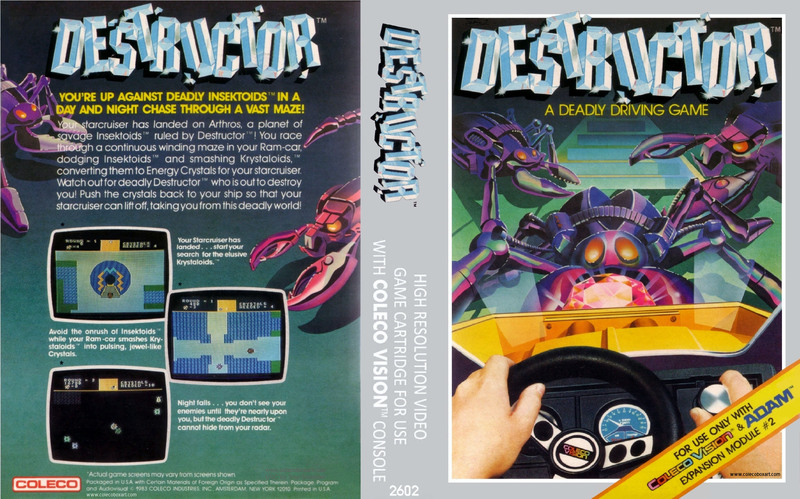 Designed to be used only with the steering wheel, this game is slow and boring. 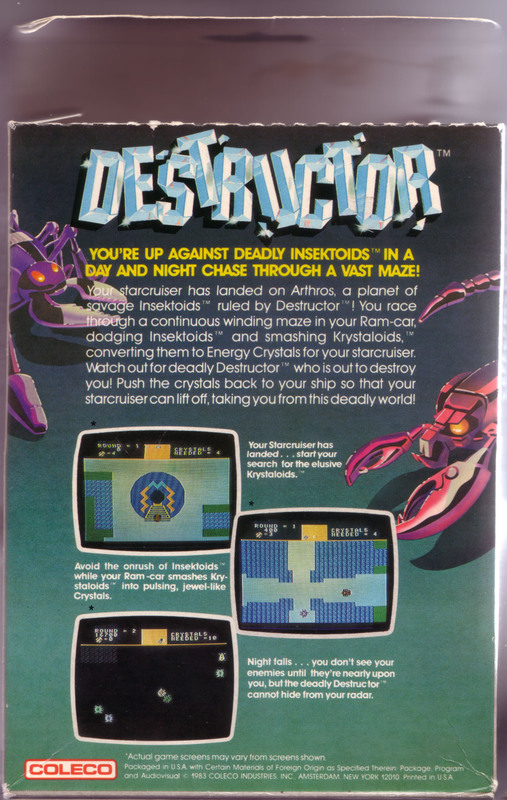 You have to go across a field in a choppy scrolling to collect crystals and bring them to your spaceship. The game is ugly and uninteresting. 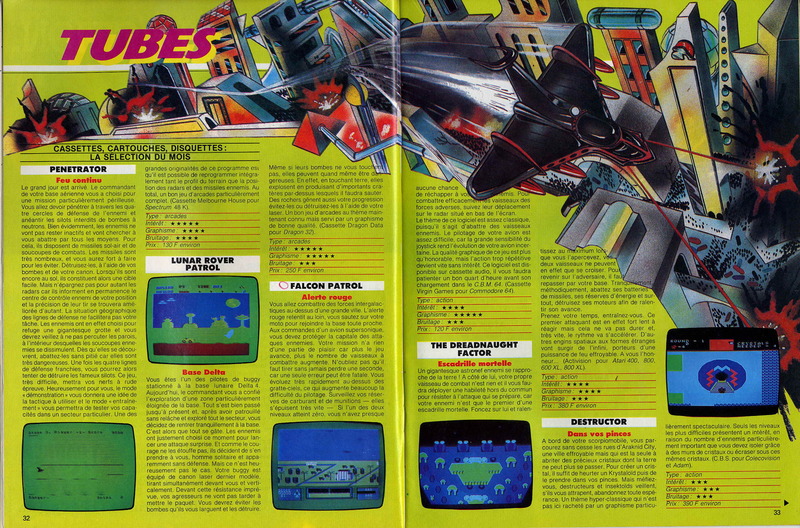 Paul Jaquays says "The boss's original vision for the game was one that combined top down driving with a Turbo - like view going through tunnels. He had a general vision, but no real design. 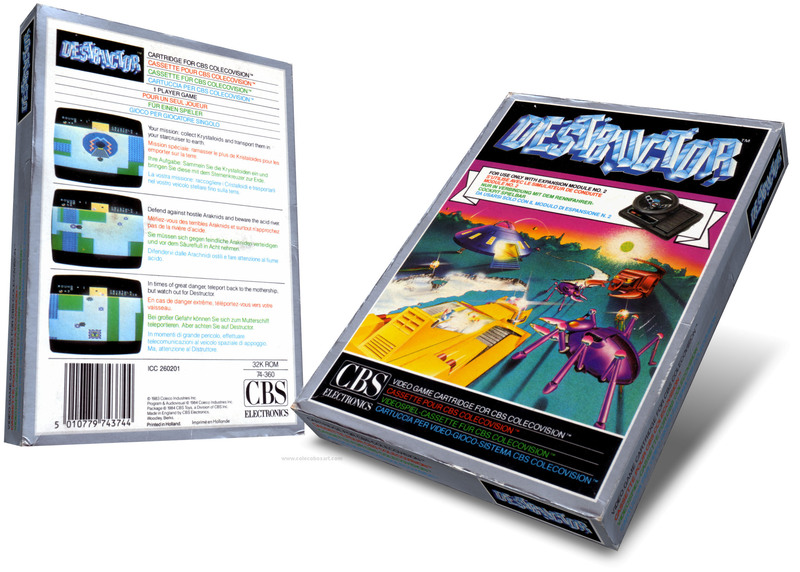 So working with an in - house programmer, we prototyped the game and messed with it until we had this game with a massive top - down view scrolling map and the current gameplay. 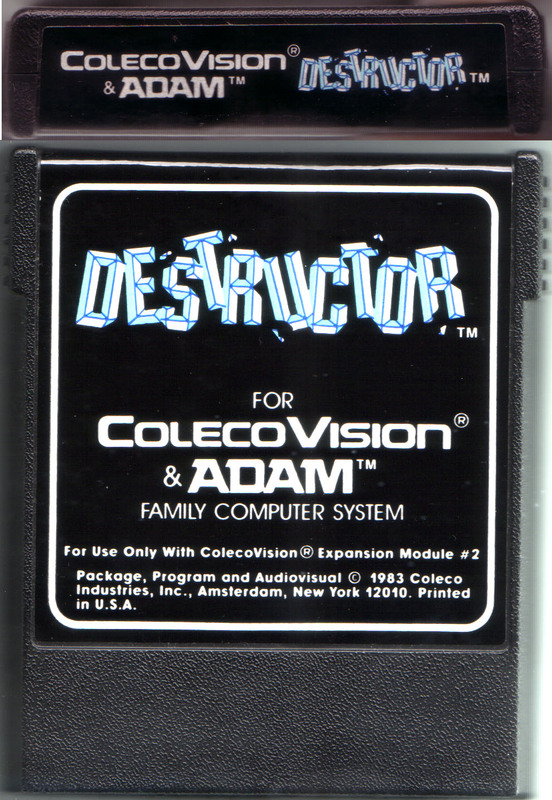 Unfortunately, whoever was in charge of making bad decisions that week mandated that the prototype could not be reworked to have tight clean code and we ended up shipping the buggy prototype as a final product on the largest ROM set ever used for a ColecoVision cartridge, 54K!"